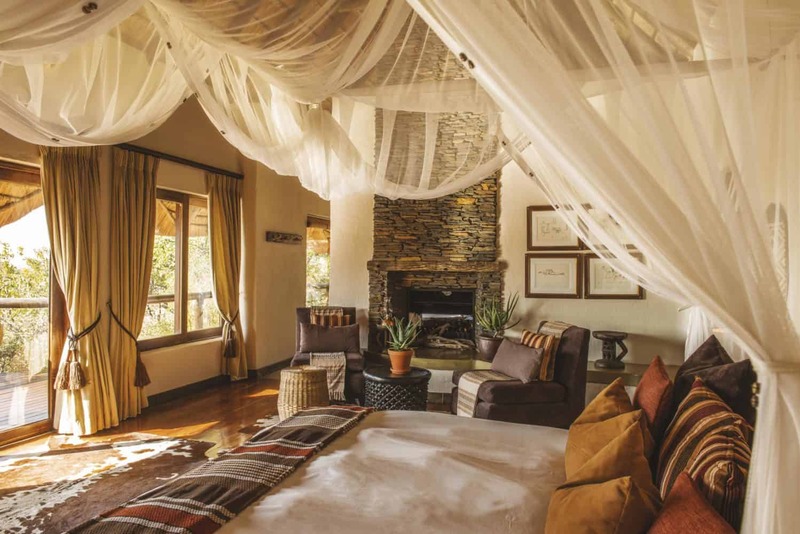 Tuningi Safari Lodge is a family-friendly lodge in Madikwe Game Reserve in South Africa’s North West Province, bordering Botswana. Thinking about booking a stay with us? First take the full virtual tour of our Madikwe accommodation and facilities on offer. The main lodge at Tuningi is a thatched structure made up by a spacious lounge, small library dining room, bar and wine cellar. 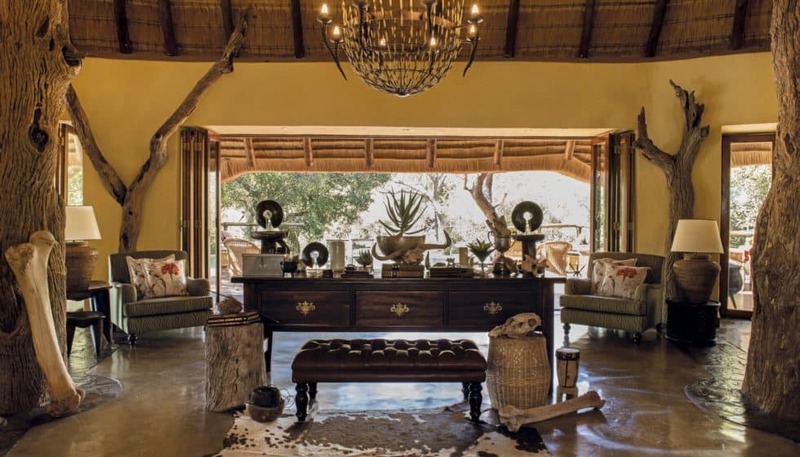 The main entertainment and reception area extends out onto a wooden deck which overlooks an active waterhole. Here guests also enjoy the use of a rim-flow swimming pool surrounded by comfortable sun loungers. 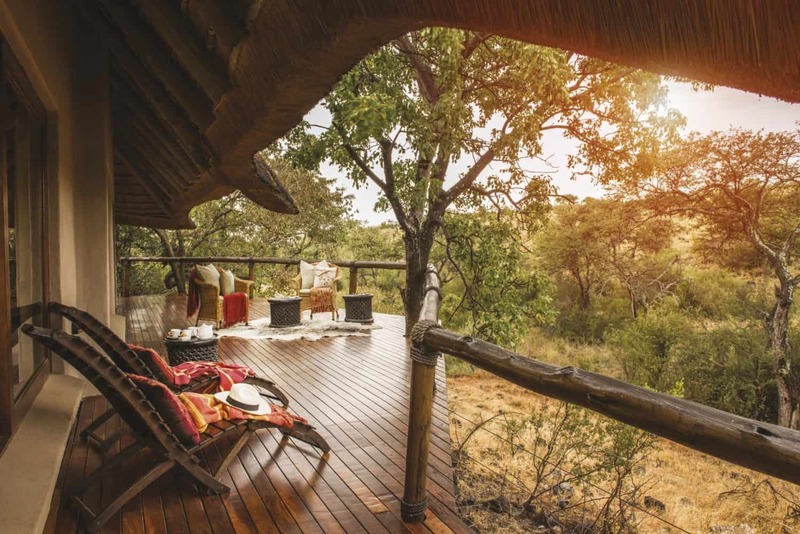 These communal spaces are linked by wooden walkways down to a boma under an indigenous fig tree – the perfect place to enjoy after dinner drinks, under a sky full of stars sharing stories from the day. 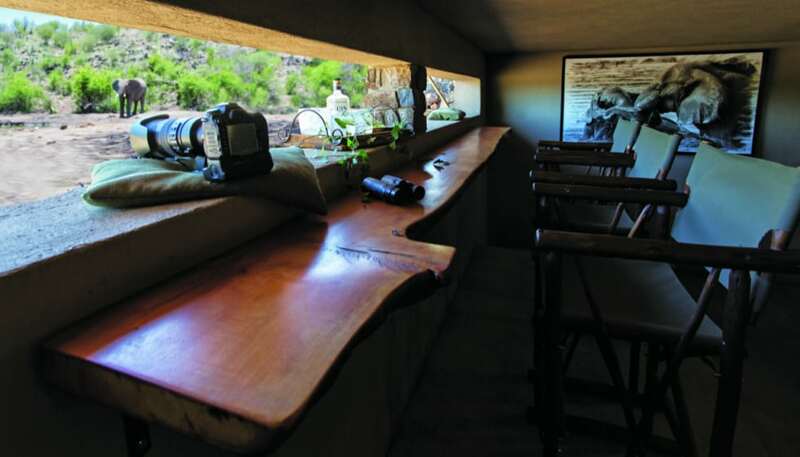 Guests also enjoy access to the undergound hide which overlooks the waterhole. Tuningi can accommodate a maximum of 16 guests at a time in 4 Luxury Suites and 2 Family Suites. All are thatched, with wrap-around wooden decks and linked by wooden walkways. Each room is equipped with a mini-bar stocked upon request, a hot beverage station, romantically draped mosquito nets, robes, slippers and animal reference books. Take a look inside the suites below. Each beautifully appointed suite has a spacious lounge with its own fireplace, en-suite bathrooms with oversized bathtubs and an al fresco rock shower. The Family Suites offer the same comforts of the Luxury Suites, but with a second en-suite bedroom as well as a dining area, bigger lounge and kitchenette. Keeping active on safari is a breeze at Tuningi. 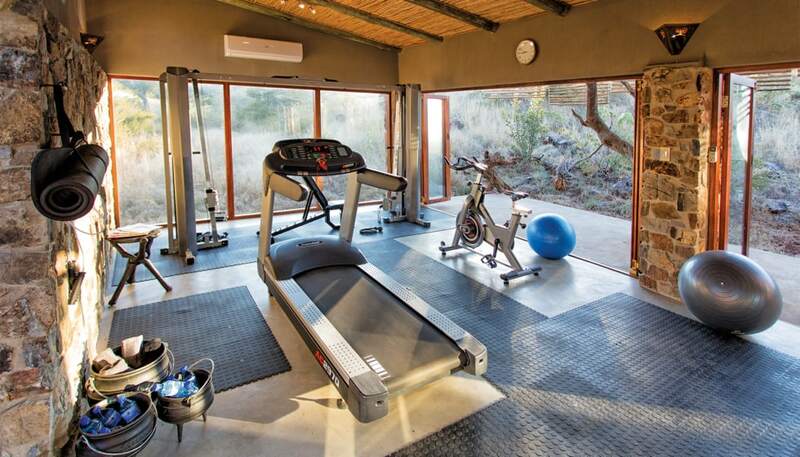 The gym at the lodge welcomes the scenery in through huge glass windows, allowing guests to work out and watch wildlife at the same time. Guests at Tuningi can indulge in an array of pampering massage treatments in the comfort of their suite or on their private secluded deck. 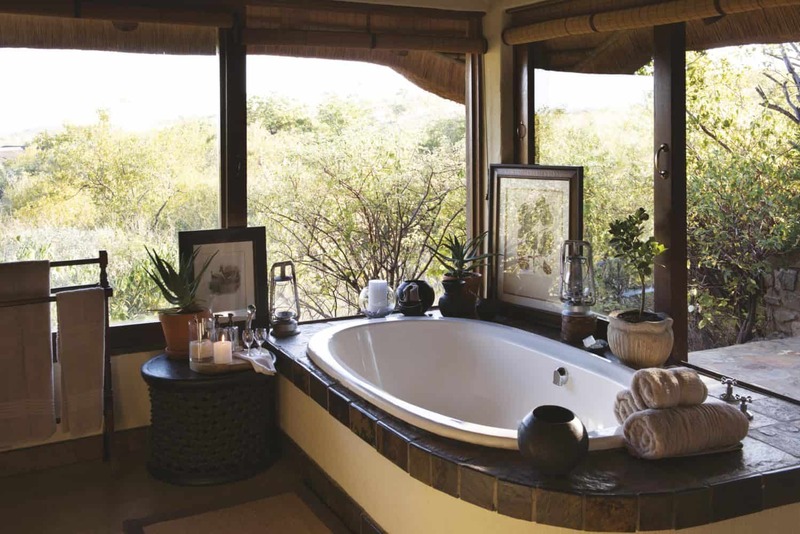 This is the perfect way to round-off your African Safari. For more information about our rates, please visit our Rates & Specials page here, or contact our friendly reservations team at reservations@tuningi.co.za for a personalized quote. We look forward to welcoming you to Madikwe.